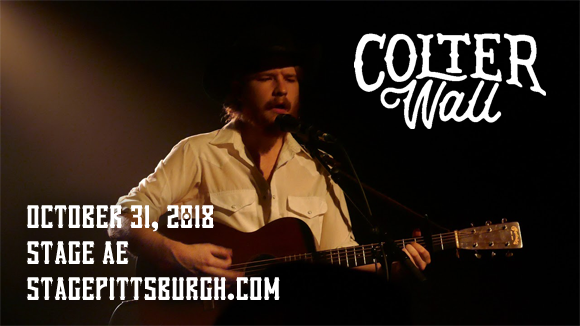 With a vintage-tinged Americana sound, Canadian singer-songwriter Colter Wall has been making increasing large waves in the music scene over the past few years. Wall's second studio album, Songs of the Plains, was released this year to critical acclaim, and sees the troubadour heading to Stage AE on Wednesday 31st October 2018 in support of the incredible record! An accomplished live performer, Wall truly captivates an audience, so book your tickets now to see this gifted artist live! Canadian singer-songwriter Colter Wall released his debut EP, Imaginary Appalachia, in 2015. A mixture of folk, blues and Americana, several songs from the record have been in television series and films, including Dog the Bounty Hunter, Hell or High Water and Three Billboards Outside Ebbing, Missouri. In 2016, Wall was signed to Rick Rubin's American Songs publishing company. His eponymous debut full-length album was released in May 2017. 2018 sees the release of Wall's second studio album, Songs of the Plains.